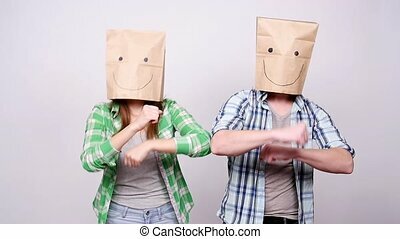 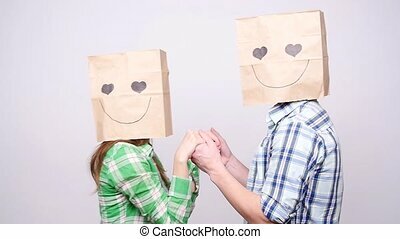 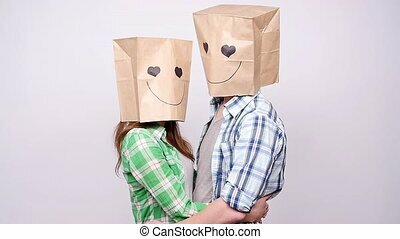 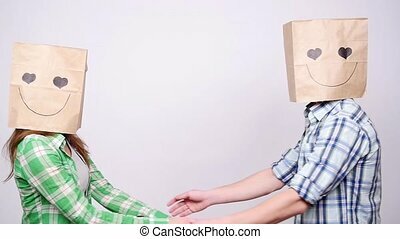 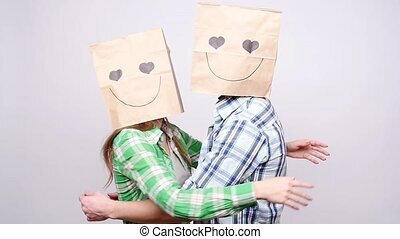 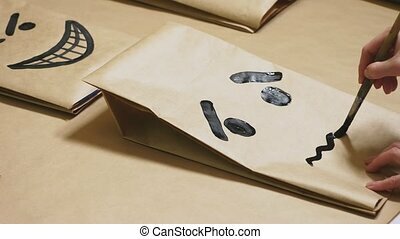 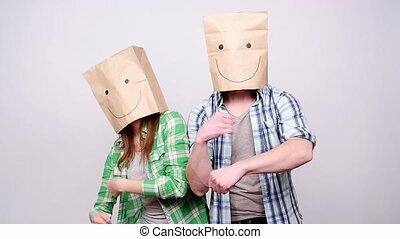 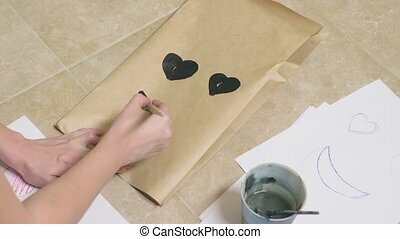 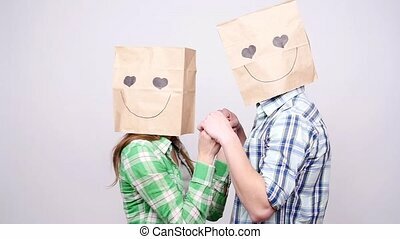 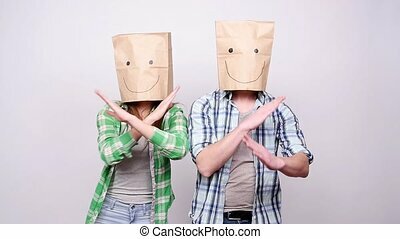 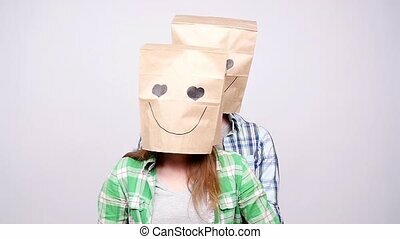 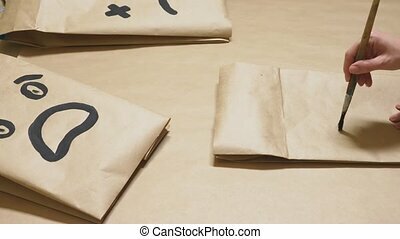 A couple with sad faces with paper bags on their heads on a gray background. 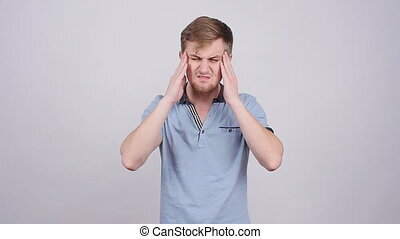 concept of emotions, gestures. 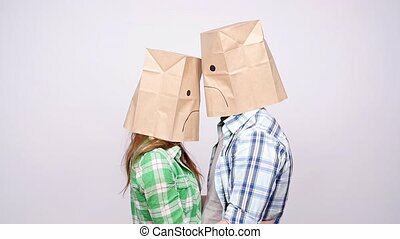 a couple of people with bags on their heads, with a painted emoticon, sad, crying, tired. 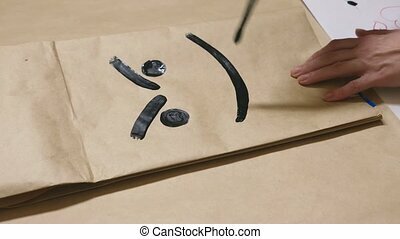 concept of emotions, gestures. 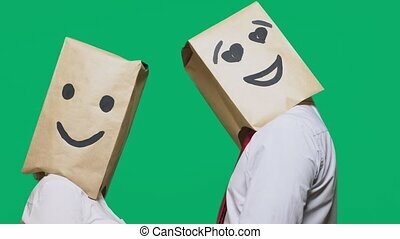 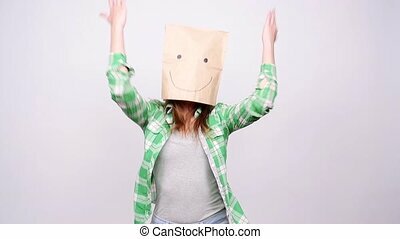 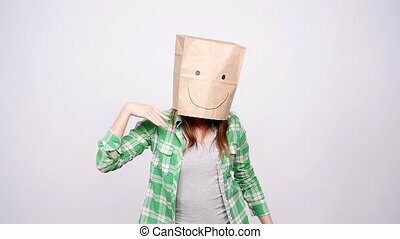 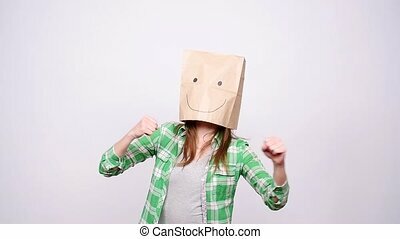 a man with paper bags on his head, with a painted emoticon, smile, joy.